Carlo Goldoni's "The Servant of Two Masters." 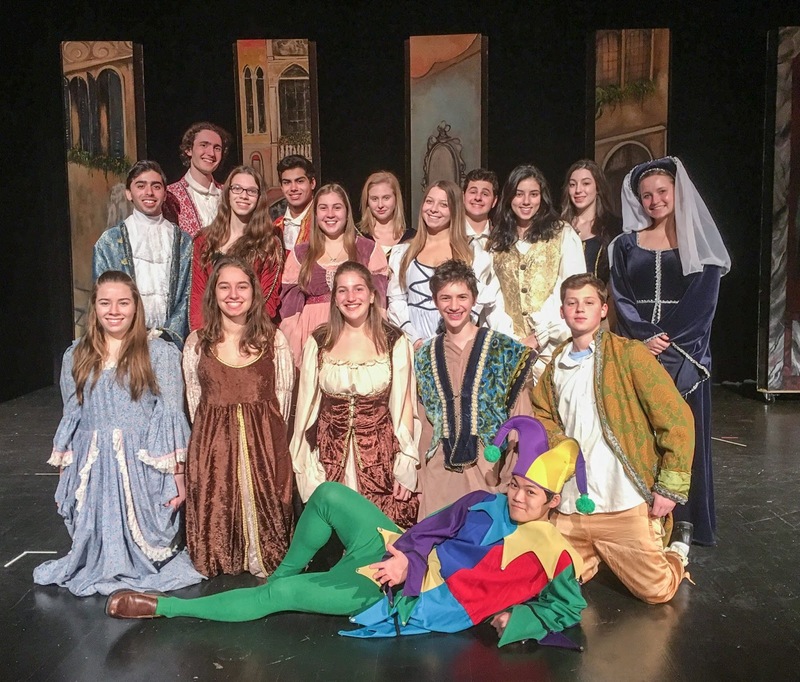 The Scarsdale High School Drama Club has branched out into commedia dell'arte, full of classical stock characters, hilarious improvisation, and bumbling buffoonery. 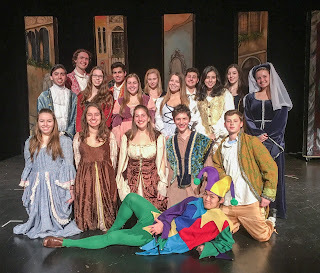 They have tried to bring the Renaissance to life, with an artistic set design, music, and beautiful costumes, not to mention great student acting. 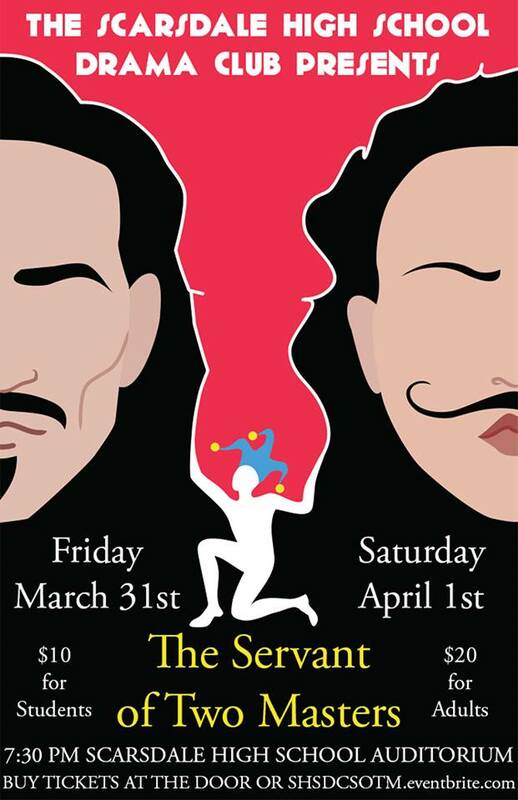 Support the hardworking SHS Drama Club and join them this weekend to share some laughs! 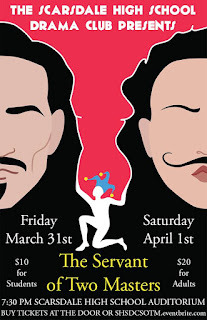 Shows are Friday and Saturday, both at 7:30 pm.